In this Nov. 18, 2003 file photo, John Hinckley Jr. arrives at U.S. District Court in Washington. The man who shot President Ronald Reagan was scheduled to leave a Washington mental hospital for good on Saturday, Sept. 10, 2016, more than 35 years after the shooting. A federal judge ruled Hinckley was not a danger to himself or the public and could live full-time at his mother's home in Williamsburg, Virginia. A judge loosened restrictions for John Hinckley, the would-be assassin who shot and wounded President Ronald Reagan. Hinckley was transferred from a mental health hospital in 2016, where he’d served a 35-year commitment, to serve time in "convalescent leave" at his mother’s home in Williamsburg, Virginia, under a series of conditions. Friday, the judge ruled Hinckley can live alone. He also specified Hinckley can drive up to 75 miles on his own. He can make less frequent visits to see his doctors at St. Elizabeths Hospital in D.C. and can meet with them via Skype. Hinckley also got permission to publicly display his art and music. 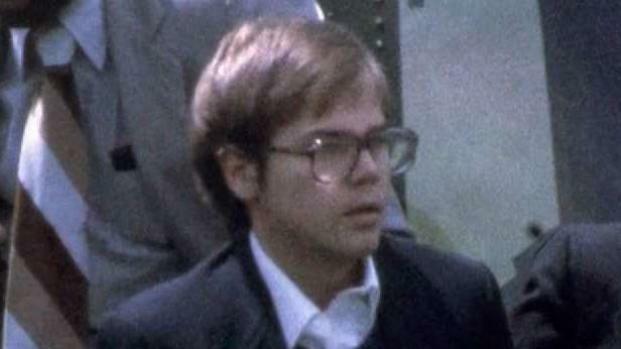 Would-be presidential assassin John Hinckley wants more freedom and has formally requested an unconditional release from custody and supervision. Scott MacFarlane reports. Hinckley was 25 when he opened fire outside of the Washington Hilton, hitting Reagan in the chest — a moment captured by news crews. Press Secretary James Brady also was shot in the head. A police officer and a Secret Service agent also were wounded. Hinckley was found not guilty by reason of insanity and ordered to live at St. Elizabeths Hospital for treatment. Over the years, the court loosened restrictions on him.